On a breezy afternoon in July, Tashi Dorji stands in Bhutan’s Phobjikha Valley and gazes out at the surrounding landscape. Bright green fields roll gradually into the foothills of distant mountains. Dorji knows the panorama well: it’s part of Jigme Singye Wangchuck National Park, which he helps protect as a forest officer. The park is one of 10 major protected areas in Bhutan. Tucked between the Tibetan Plateau to the north and India to the south, west and east, Bhutan lies entirely within the Eastern Himalayas. It's just half the size of Indiana. But 51% of its land is protected—the highest percentage of any nation in Asia. Equally striking, the Bhutanese constitution requires at least 60% of the country’s forest cover to be permanently maintained (the country is currently at more than 70%). 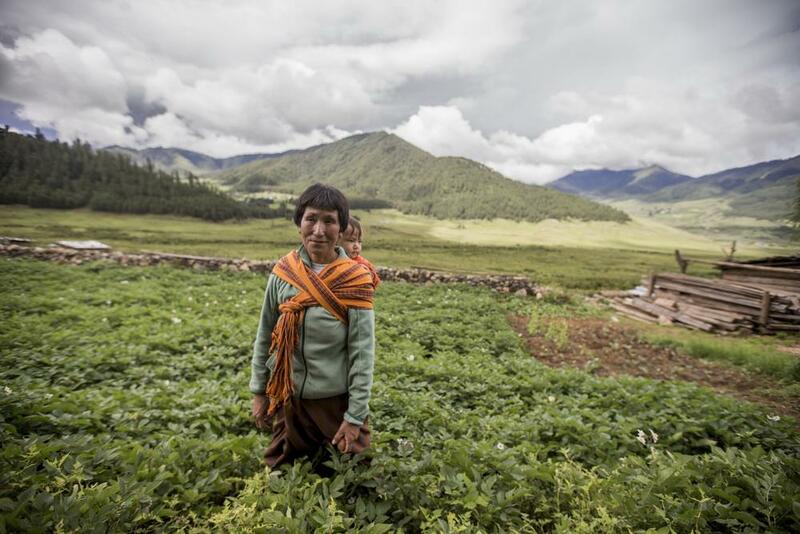 Those percentages reflect the value of protected areas—and more broadly, nature—to multiple facets of Bhutanese society. One is spiritual: Bhutan's culture is rooted in Buddhism, which emphasizes the interdependence between humans and nature. "Bhutan's pristine landscape is dotted with temples," says WWF-Bhutan Country Representative Dechen Dorji. 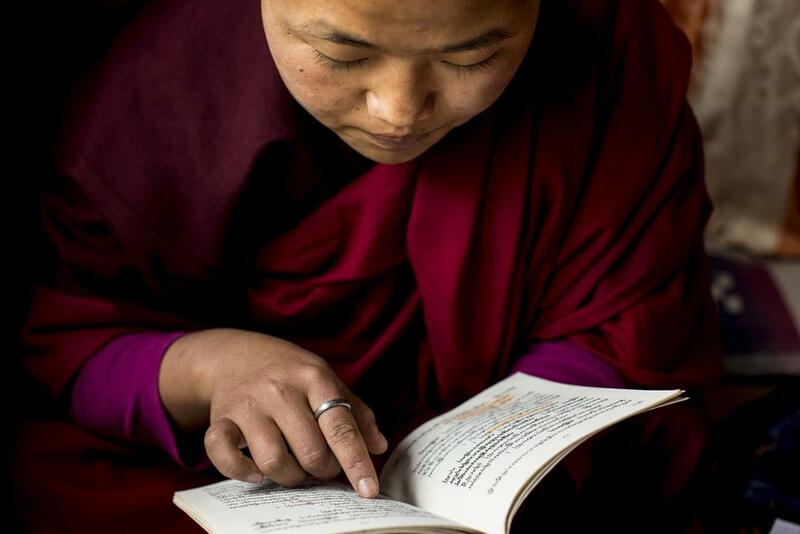 For practicing Buddhists, such as 18-year-old nun Jigme Wangmo and the monk pictured below, he continues, "that space for religious awakening … is so important." 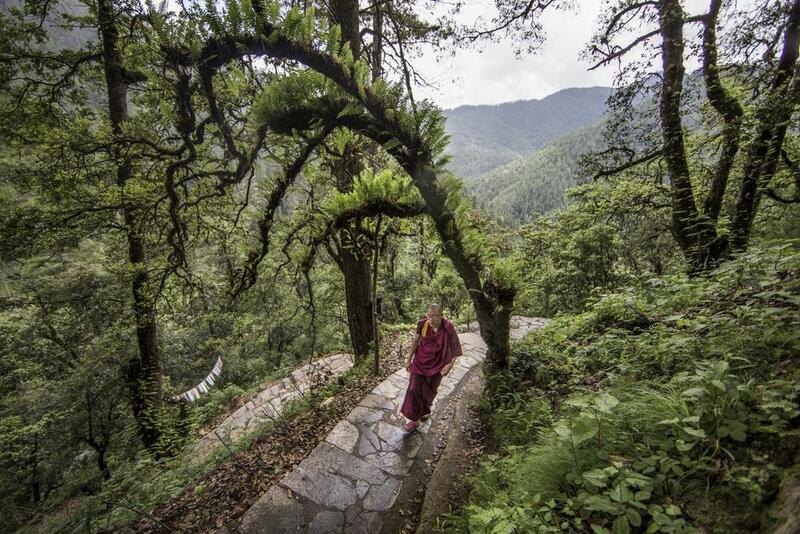 Those protected areas are also vital to Bhutan's economy. 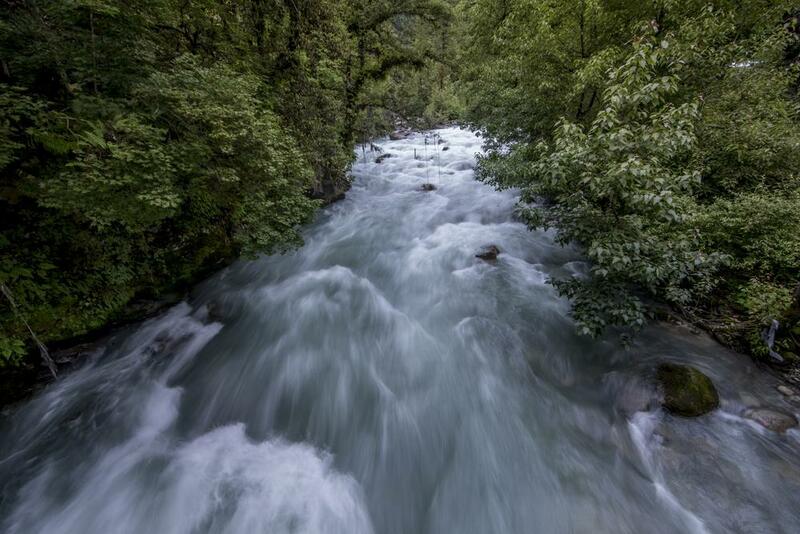 In addition to supporting biodiversity, drinking water and irrigation, the country's many rivers generate hydropower. That power, which is exported to India after meeting domestic consumption needs, constitutes a major source of national revenue. Wildlife delivers revenue as well. The country's mountains, alpine meadows and thick forests shelter more than 5,600 vascular plant species and 200 mammal species. There are tigers, snow leopards and Asian elephants—as well as bird species like the beautiful nuthatch. Tourism showcasing Bhutan's biodiversity and nature-inspired culture is one of the fastest-growing sectors of the country's economy. Bhutan is a relative newcomer to modernity: the country's first paved road was completed in 1962, and the Internet and TV were not introduced until 1999. Since 2000, however, the pace of its development has snowballed. That acceleration is particularly evident in the country's shifting demographics. Sixty percent of the country's population is below the age of 34. 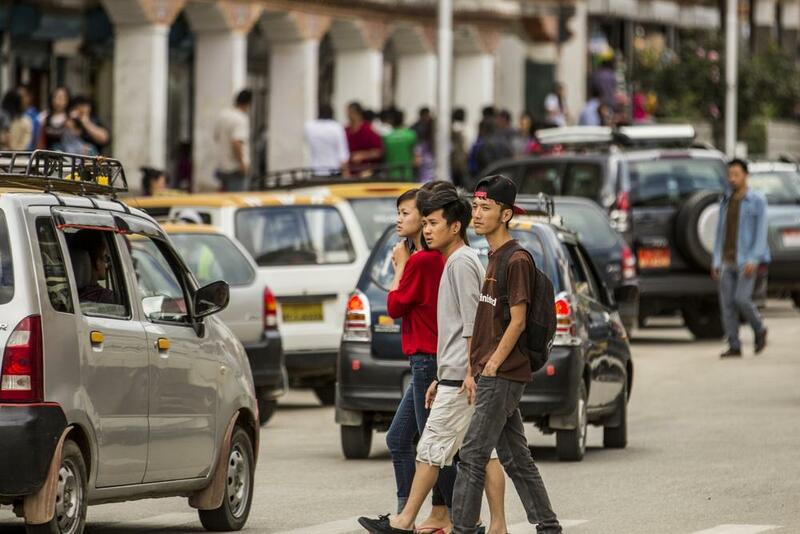 While some people work on farms, more and more prefer to live and work in cities such as Thimphu, the capital. It's easier than ever to move to those cities, but difficult to find jobs in them. That combined generational and rural-to-urban shift is resulting in a growing cultural disconnect from nature. There are fewer and fewer stewards of the land—those rural residents with a deep connection to, and respect for, the incredible landscapes many tourists come to see. That's one reason WWF, the Bhutanese government and other partners are searching for new strategies to keep youth interested in Bhutan's environment and natural resources. One way is to create jobs in rural areas. Some farmers' markets—like the one Sangay (pictured above) helps run—are offering young people the chance to find stable agricultural work in the countryside and then sell their produce in the city. Homestay programs, in which families open their homes to travelers, also create income opportunities and encourage tourists to spend more time in the countryside. Pem (pictured below), standing with her granddaughter near her home in Phobjikha Valley, established a homestay with the government's help. People aren't the only element of Bhutan that is in transition, and the country isn't investing only in employment opportunities: it's also investing in large infrastructure systems like dams and roads. Such development is happening in the face of increasing global competition and declining foreign aid. Renewable hydropower sold to India currently generates more than 45% of national revenue, and the country must diversify its economy to address its evolving needs. At the same time, Bhutan's leaders are keeping a close eye on Gross National Happiness—the country's holistic approach to prosperity that includes social, environmental and political priorities alongside economic ones. 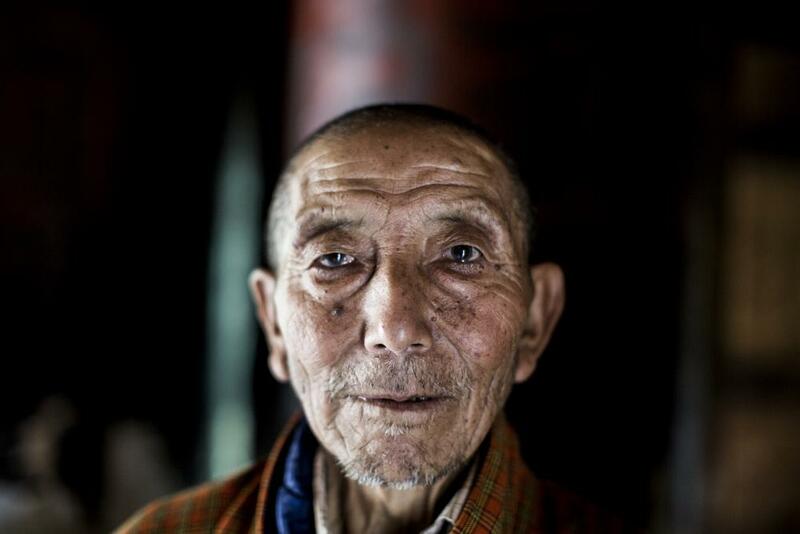 That's where Bhutan for Life comes into play. For several decades, the Bhutanese government has been working with WWF, the Global Environment Facility, the World Bank, the Bhutan-based Royal Society for the Protection of Nature, and a variety of other partners to harmonize its development and conservation goals. In the face of intensifying challenges, some of those partners are creating a new strategy, now modeled after a groundbreaking initiative that WWF helped create in the Brazilian Amazon. That strategy seeks to raise the financing needed to make Bhutan's incredible protected areas system fully functional and maintain it forever. Bhutanese Prime Minister Tshering Tobgay says the initiative is ultimately "about a balance. Balance between economic growth and social progress. Material progress balanced with spirituality." And, he explains, a balance between the needs of two different Bhutans: the Bhutan of the future, and the Bhutan that's working and eating and praying right now.